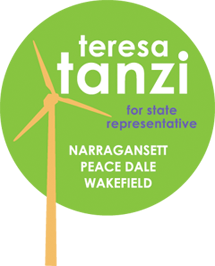 Teresa Tanzi: "There she goes again... " Representing District 34 for two more years!!! "There she goes again... " Representing District 34 for two more years!!! It is an honor and a privilege to have the support of my community so I can return to the General Assembly and continue my work as a voice for South County. Thank you to all of my wonderful supporters and tireless volunteers who made this all possible!!! !